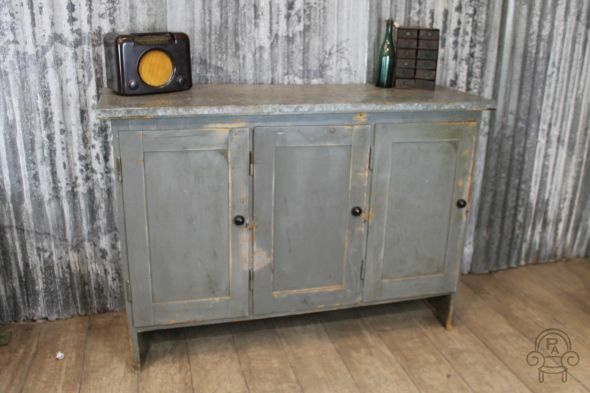 A great addition to our large and extensive range of industrial style furniture; this beautiful original 1930’s zinc and pine cupboard/sideboard boasts a lovely warm zinc top, solid pine base and original grey distressed paintwork. The item is in good condition, as you can see from the top it does demonstrate some marks and blemishes, though this just adds to its charm and character. This is a great piece for any urban vintage inspired interior. Please note, the other items pictured are not included in the listing.